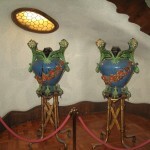 Located in the same street as La Pedrera another Antoni Gaudi masterpiece can be found, Casa Battlo (Casa dels ossos). 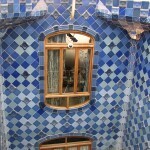 The building was originally built in 1877, and remodelled between 1904-1906. 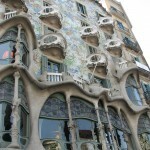 The building looks much like skulls and bones from the outside, something you just got to see while in Barcelona. 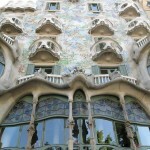 One of the main goals of Antoni Gaudi seems to have been to avoid all straight lines. 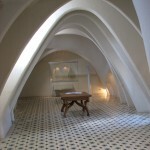 Visitors can see the family rooms, the rooftop terrace and the attic, and they can see the lift originally installed by Gaudi himself.